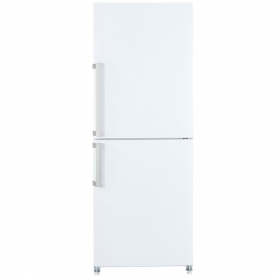 This Blomberg Frost Free Combi Fridge Freezer is perfect for large families with hungry mouths to feed – and those who want to lower their energy bills. 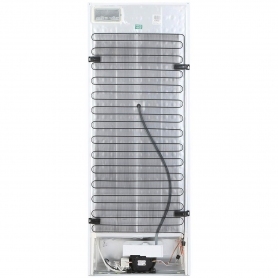 An A+ energy rating makes the KGM9691 highly efficient, and kinder to the environment and your wallet. 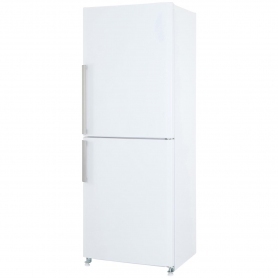 A 410 litre overall capacity makes this freestanding fridge freezer super spacious. 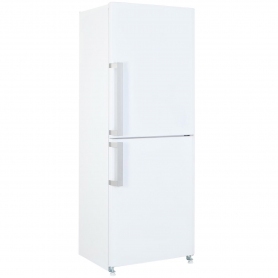 However, with dimensions of 190 cm x 70 cm, it can still fit neatly into an average kitchen. This makes it perfect for families. Many freezers need manually defrosting regularly, which is time consuming and can waste food. 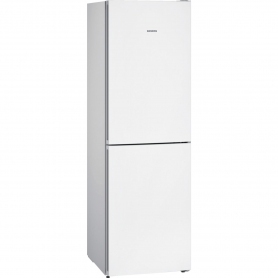 Not so with the Blomberg KGM9691 – frost free technology ensures that ice simply doesn’t build up. Four freezer drawers give you bags of room for all your frozen goods. Made of durable, clear plastic, they’ll keep your items safe and organised. Handy twist and serve ice cube trays are also included. These are easy to use and perfect for the warmer months. 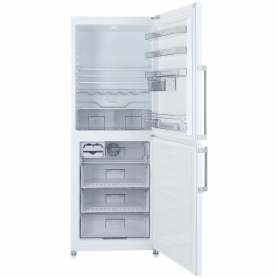 The fridge section of this appliance boasts an impressive 258 litre capacity, spread out over 4 shelves and 2 salad bins. The shelves are adjustable to make room for taller items and are transparent glass, making is easier to find what you need. They’re removable and easy to clean, and will stay cool, regulating your food temperature. Two salad compartments give loads of room to keep your vegetables crunchy and fresh. Other storage comes from a chrome wire wine rack and retainer. Both hold your bottle of wine or fizzy drinks securely and keep them chilled. Antibacterial door seals prevent bacteria from entering and growing in the fridge – perfect for the hygiene conscious. Order today to see the difference the Blomberg KGM9691 can make to your kitchen.